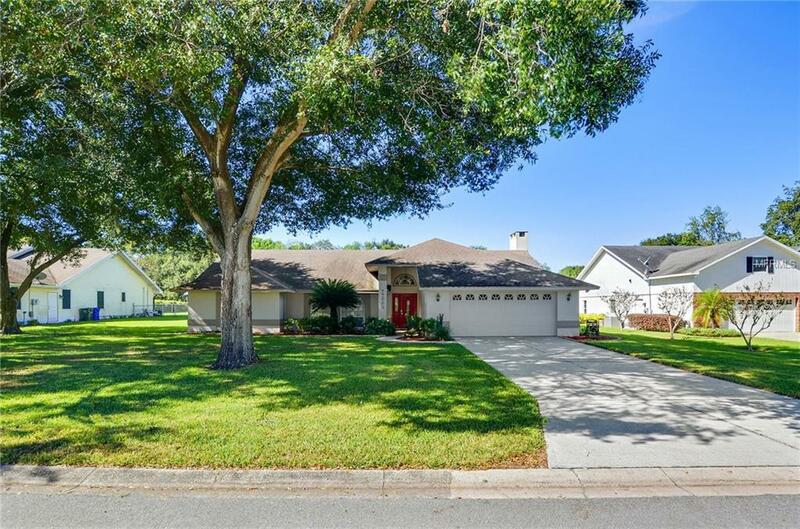 Meticulously maintained 4 bedroom 2 bath pool home situated on a cul-de-sac with an incredible open land view and beautiful landscaping. Brick paver front porch welcomes you into a spacious tile foyer leading to separate formal living and dining rooms. Gorgeous remodeled gourmet kitchen boast: water proof wood laminate flooring, granite counter tops, designer tile backslash, double stainless sinks, full appliance package, white cabinetry with hardware and designer lighting. Spacious breakfast bar overlooks the family room with wood burning fireplace, making it perfect for entertaining. Spacious master suite is amazing and includes a remodeled bath with fabulous half wall tiling, double walk-in closets, dual vanities ,granite, walk-in shower with designer tiling and beautiful lighting. Triple French door access to the spectacular pool and deck area! Special financing incentives available on this property from Sirva Mortgage.This lovely home is a must see!